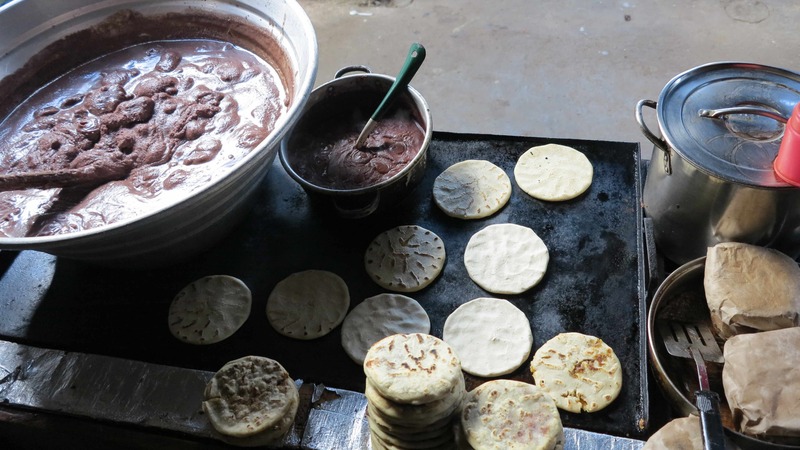 El Salvador, the smallest country in Central America and the home of the pupusa! 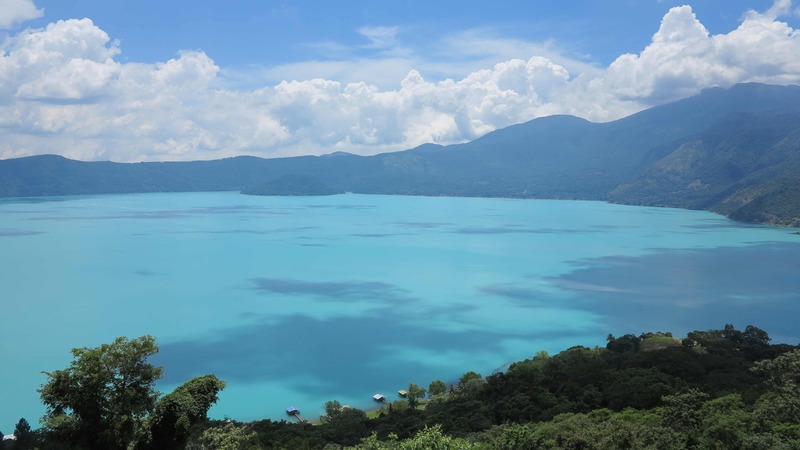 We did not spend much time in El Salvador but we went a bit along the Ruta de las Flores, we visited the small town of Ataco and we went to Lago de Coatepeque (photo below) where we were lucky to see the lake a beautiful turquise colour. 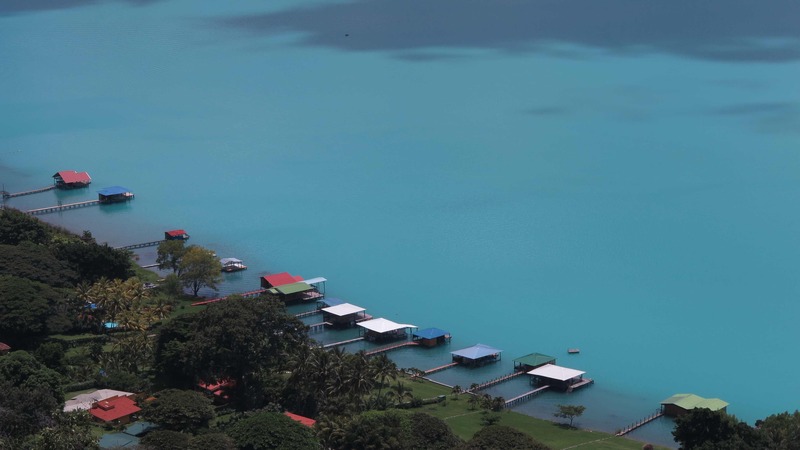 The lake changed colour 3 days before we arrived due to some kind of increased underground/volcanic activity. Frida on the border between El Salvador and Honduras. This was the ugliest border we passed so far. Here Frida is parked outside the customs office. In the background they are restoring a building from the 40’s, which might add a little more grandeur to the border crossing once it is finished. Also in the background are the taxis, the food stalls, the small shops, the photocopy shacks etc.